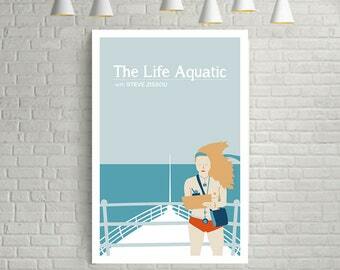 The Life Aquatic with Steve Zissou, Wes Anderson movie poster, minimalist Movie Print, film poster art. 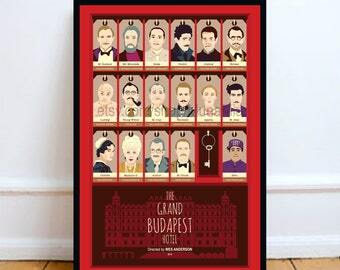 The Grand Budapest Hotel, Wes Anderson, Minimal Movie Poster. Lost in Translation, Scarlett Johansson, Minimal Movie Poster. NEW! Amélie, Audrey Tautou, Minimal Movie Poster. NEW! Captain MARVEL, classic movie poster, minimalist Movie Print, film poster art. Mr. Nobody, Jaco Van Dormael, Diane Kruger, Sarah Polley, Linh Dan Pham, Minimal Movie Poster. NEW! Roman Holiday, Audrey Hepburn, Minimal Movie Poster. Vincent Van Gogh, Portrait, Van Gogh Art, Van Gogh Quotes, artitst postrait, iIllustration, art print, wall decor. The Science of Sleep, Gael García Bernal, Charlotte Gainsbourg, Michel Gondry, Minimal Movie Poster. MERMAIDS, Cher, Winona Ryder, classic movie poster, minimalist Movie Print, film poster art. NEW! Breakfast at Tiffany's poster, Audrey Hepburn, minimalist Movie Print, film poster art. NEW! MON ONCLE, Jacques Tati, Minimal Movie Poster. Seashore I, Wall Art Prints, Modern Decor, Black and White Prints, Wall Decor, Wall Prints, Home Decor. NEW! One Flew over the Cuckoo's Nest, Miloš Forman movie poster, Jack Nicholson, minimalist Movie Print, film poster art. NEW! Dirty Dancing, Jennifer Grey, classic movie poster, minimalist Movie Print, film poster art. NEW! Bohemian Rhapsody, Rami Malek, Bryan Singer, classic movie poster, minimalist Movie Print, film poster art. NEW! The Shining, Stephen King, Stanley Kubrick, classic movie poster, minimalist Movie Print, film poster art. SALE- Only for CHRISTMAS Season - Buy Any TEN Prints, Modern Movie Posters. Moonrise Kingdom, Wes Anderson, Minimal Movie Poster. The Life Aquatic with Steve Zissou, Wes Anderson, Movie Poster Art. NEW! The Darjeeling Limited, Wes Anderson movie poster, minimalist Movie Print, film poster art. Mad Max: Fury Road, Brides, Tom Hardy, Charlize Theron, George Miller, Minimal Movie Poster. Brother and Sister Fight, Wall Decor, Kids Room Art, Brother Gift, Digital Art, Nursery Art, Printable Poster, Sibling Gift. 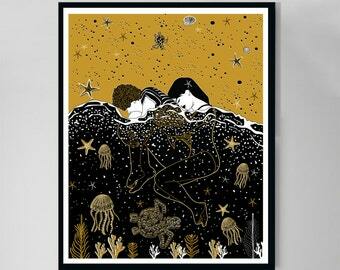 Good quality poster and good seller. Thank you. Mad Max: Fury Roads, Brides, Tom Hardy, Charlize Theron, Minimal Movie Poster. This is so perfect. I bought it to hang over my therapy couch at work (I am not a therapist) and it couldn’t be more fitting! I can’t believe I found a mug with my absolute favorite scene in The Royal Tenenbaum’s. I romanticize the heck out of it, and feel really lucky to have found it. I love this mug. Sturdy. Washes well. Came super quick. The Royal Tenenbaums, Gwenyth Paltrow, Wes Anderson, Margot Tenenbaum illustration mug.